Amongst them, Pascaline Ouedraogo, a 26-years old Sargent. The young soldier is new to the United Nations, as this is her first mission as part of the Burkinabe infantry battalion, she is very honored to be able to help the neighbour country, “I am proud to be here because Mali and Burkina Faso are almost the same country, what is happening in Mali could arrive also in Burkina Faso, then we would need help of other people”, she said. 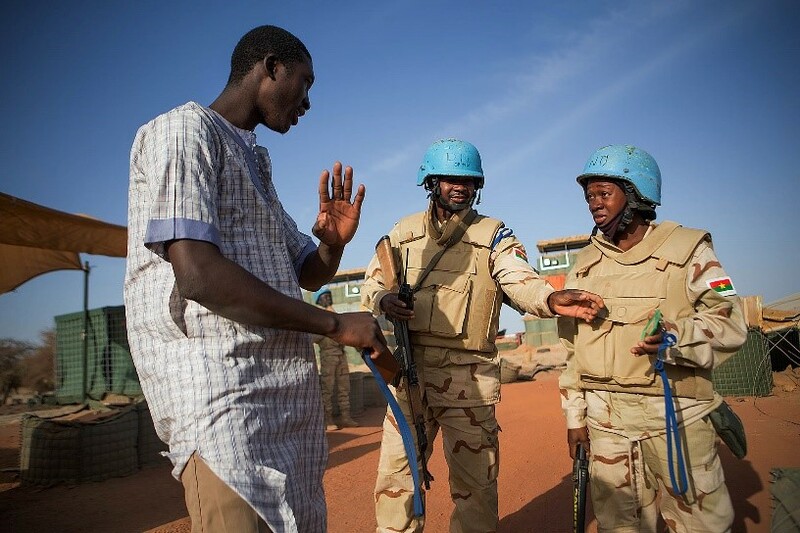 Today, some 1700 peacekeepers from Burkina Faso serve in Mali being the largest country contributor to the UN mission. Operating in a high volatile environment far away from his families, Pascaline and other peacekeepers make sacrifices in the service of peace every day. Growing up, Pascaline Ouedraogo always wanted to be a uniformed officer. Today she is part of the 38 women officers in the Burkina Faso battalion who work in Timbucktu, to ensure protection and safety of civilians and UN personnel. “Despite the challenges that come with working in this environment, working with the United Nations is a privilege for me. As women it’s a good opportunity for us to rise up and demonstrate that we can do exactly what our male counterparts do, in whatever sector and at whatever level,” she said. Pascaline arrived in Mali in February 2018 and was immediately struck by the warm relationship she encounters with people “Peacekeeping is essential because you help bringing peace and assisting the population in the bordering country”, she says. 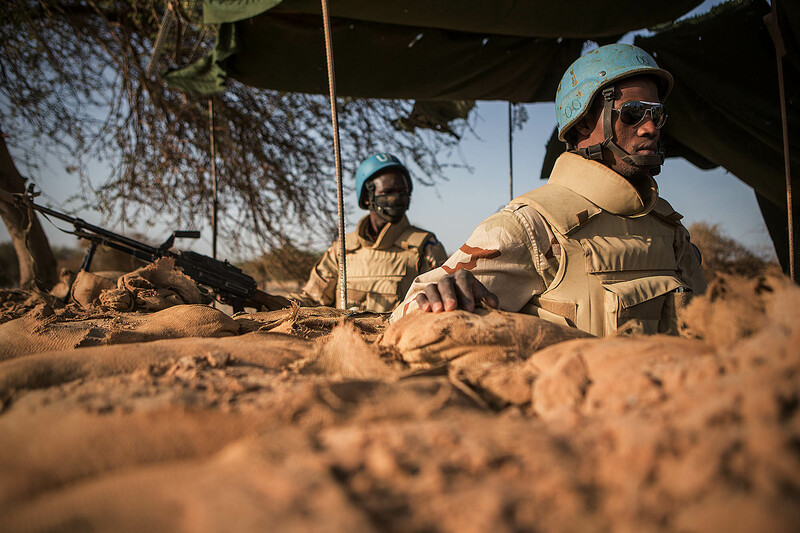 Reconnaissance and patrolling to protect civilians are specialized tasks of the Burkinabe battalion at the United Nations Multidimensional Integrated Stabilization Mission in Mali (MINUSMA). Established in 2013, MINUSMA supports the Malian peace agreement by helping to restore State authority, advance diplomacy, strengthen security, promote the rule of law, support credible elections and promote human rights. The UN mission has become one of the most dangerous peace operations in the Organization’s history. 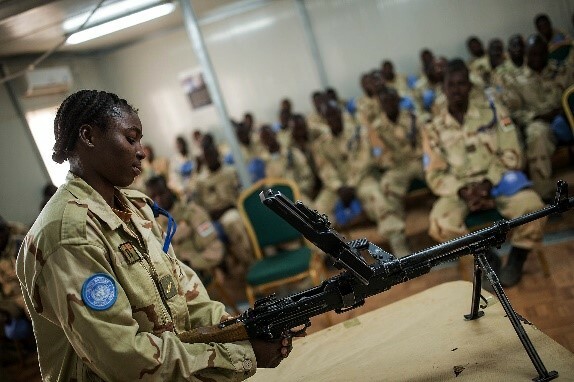 Since 2013, 163 peacekeepers have lost their lives in the West African nation, including a Burkinabe peacekeeper killed during the complex attack of the UN base in Timbuktu on 14 April. Pascaline was tasked to guard the UN Super Camp base during the attack, “I am proud that we could repel the attack, that was a big success for us however sometimes I am afraid, but we say what is meant for you is meant to happen, you cannot miss your destiny”, she said. For Pascaline and thousands like her, the reward is in the knowledge that men, women and children in Mali are safer as a result of their work.